February in New York brought lots of important things: the Westminster Dog Show, 60-degree temperatures, Fashion Week (upstaged by the Westminster Dog Show), people wearing clothes still not suited for February despite it being 60 degrees, and a handful of great new bars and restaurants. 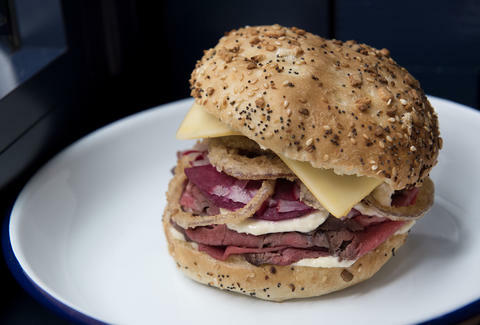 Fifty percent of these new openings are in Prospect Heights, solidifying the Barclays neighborhood as a dining destination -- but there are still great places to eat all over the city, from fast-casual stand-and-eat steak to roast beef sandwiches and glazed crullers from the team behind Union Square Cafe. It's been a busy past few months for Top Chef-testant Dale Talde. After shuttering Pork Slope and Thistle Hill Tavern in October and December, Talde and business partners David Massoni and John Bush went on to open Massoni, an upscale, Italian-inspired restaurant inside the Arlo Hotel; and this month, they returned to their Park Slope stomping grounds to open Atlantic Social near Barclays. The bar/restaurant leans into its proximity to the arena with tons of bar seating, TVs, sports memorabilia, and upgraded pub food, like General Tso's chicken wings, pan pizzas, and potato skins with chorizo and manchego. It's the kind of place you're going to want to hang out in for a while -- preferably on one of the leather couches by the fireplace. 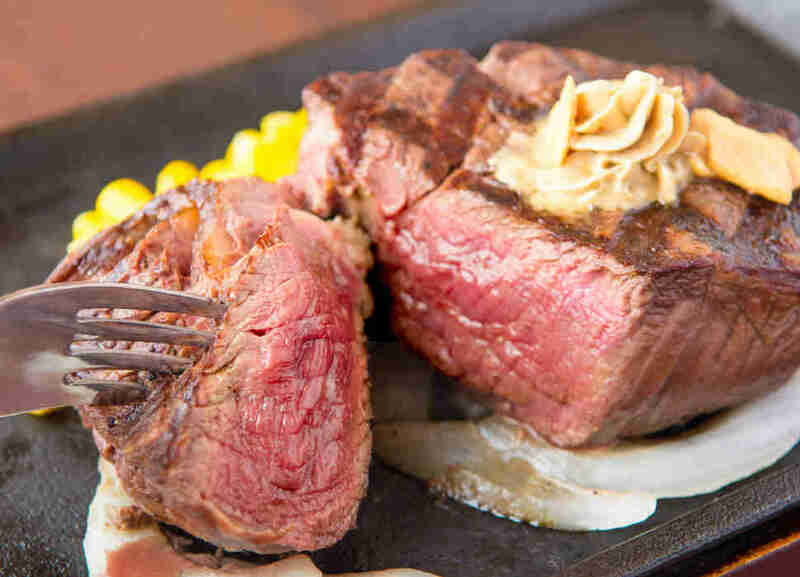 If sitting down for a fancy steak dinner sounds like an overly stuffy idea, then this popular Japanese steakhouse chain (which just opened its first US location in the East Village) is the perfect alternative. Ikinari is all about quick service -- down to the fact that you won't even get a chance to take a seat. Steak is ordered by the gram at the counter, cut by the butcher, and served on a cast-iron platter. From there, you can grab a spot at a standing-room-only table (complete with various steak sauces). Consider it the Ichiran of steak -- quick service and very limited human interaction; the perfect solution for a crazed New York schedule that still demands meat. 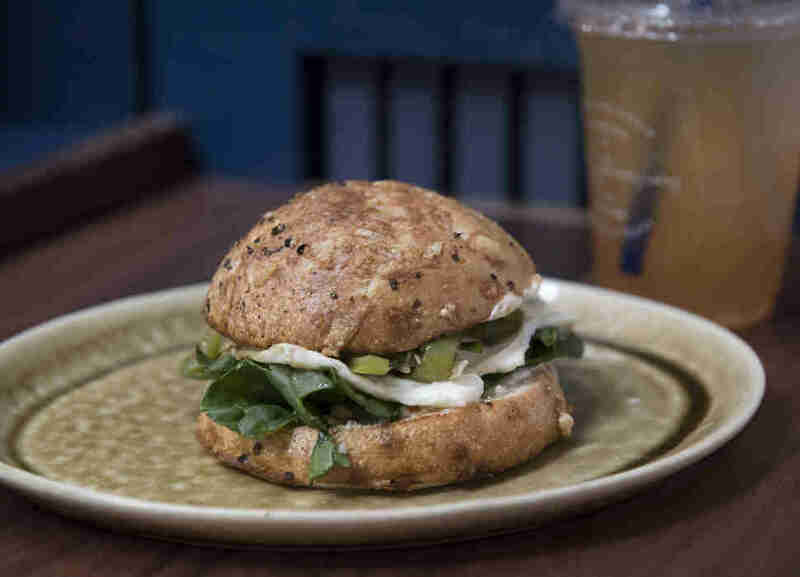 If you can't get a table at the newly reopened Union Square Cafe (or just can't afford to eat there), the restaurant's new adjacent takeout spot is your best move. The bakery/coffee shop is strictly doing breakfast and lunch, with tons of breads made fresh in-house. In the mornings, you can opt for sweet items like glazed crullers or breakfast gourgères (flaky pastry balls filled with eggs, cheese, and ham), and for lunch, there's rotisserie chicken and roast beef sandwiches, as well as loaves of bread to take home. When chef Denisse Lina Chavez started making carnitas inside a Bronx bodega, people took note. That momentum only grew when Chavez's El Atoradero opened its first proper restaurant in Prospect Heights last year, boasting some of the city's best nachos (as well as those famed carnitas). Now, at her new mezcal-focused bar right next to the restaurant, she's supplementing 50 different varieties of mezcal with light dishes and snacks like ceviche, oyster tostadas, and roasted corn salad. 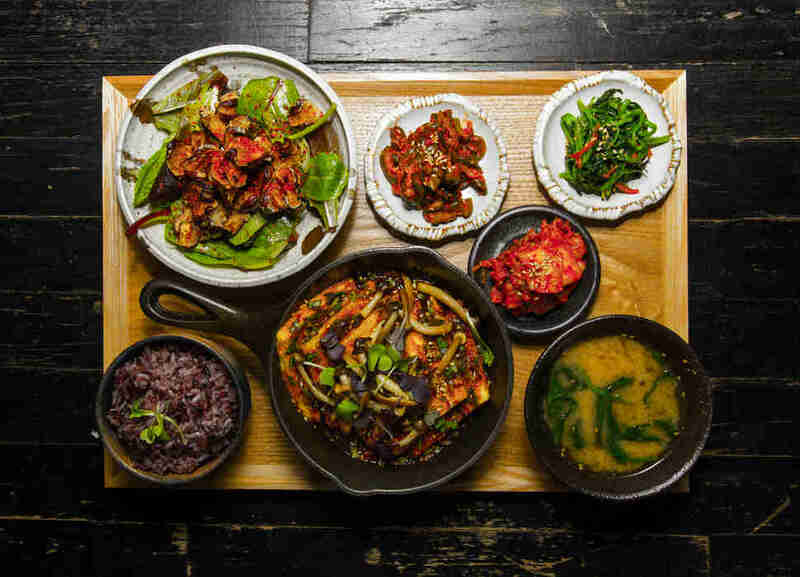 Esther Choi's popular Korean ramen stall inside Chelsea Market has finally expanded to a full-fledged, 60-seat restaurant on Flatbush Ave. mokbar's new spot has a broader focus on Korean soul food, including traditional jip bap -- a set meal that includes a protein (like short rib, mackerel, or sliced pork) accompanied by small vegetables (banchan), rice, and soup (all for $22-$24). 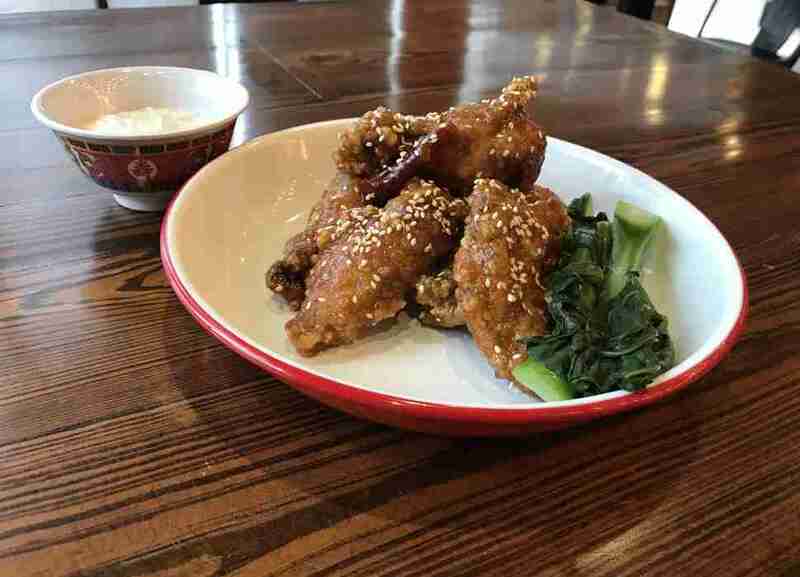 The menu also features things like dumplings, ramen (of course), house-made kimchee, and other small plates like spicy fried chicken and braised pork belly in a crispy bun. Dumpling Spot (which is quite literally a dumpling spot) comes from the team behind beloved Western Chinese chain Xi'an Famous Foods. According to the owners, it's technically a pop-up located inside Xi'an's old Bayard St offshoot and there's no telling how long it will last. 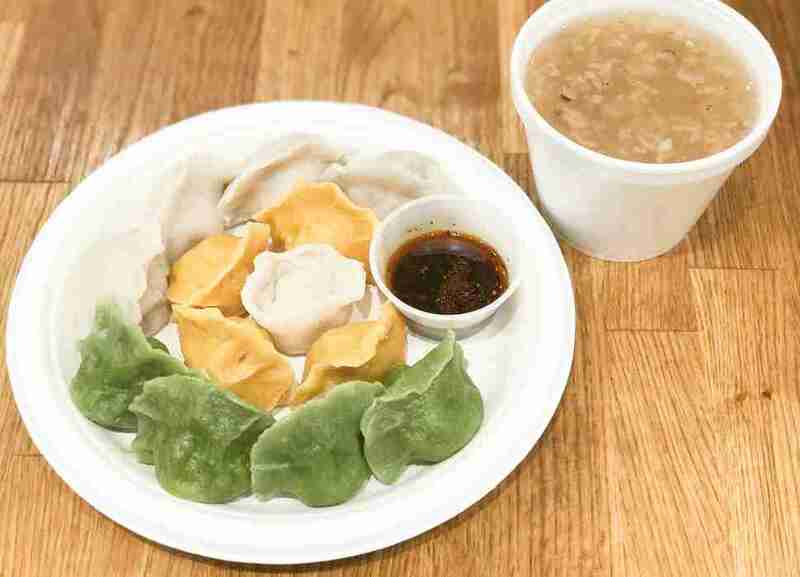 The menu offers several kinds of dumplings and potstickers, all for incredibly cheap prices: a set of 10 Three Treasures dumplings (that includes pork, shrimp, and chive varieties) will cost you just $10. Lucy Meilus is Thrillist’s New York editor and did not go to the Westminster Dog Show but fully intends to lie and tell everyone she did. Follow her on Instagram.